With Halloween behind us, now comes the busy holiday season. It’s not just stores that start to buzz with activity. As many divorce attorneys will tell you, holidays are a time when parents – yes, even those with carefully crafted parenting plans – fight over who gets to spend Thanksgiving, Christmas, Hanukah and New Years with whom. A Marital Settlement Agreement (MSA) is designed to lay out who has the children on which holiday. And sometimes, they are even as detailed as to say that Christmas morning will be spent with mom and Christmas afternoon will be spent with dad. But often life can get in the way. Situations change, opportunities may present themselves i.e. the chance to take the kids to Mickey’s Very Merry Christmas, or perhaps grandma and grandpa no longer can travel and you want to take the kids to see them this year. Situations that did not exist at the time the MSA was signed can often wreak havoc on the holidays. That’s why communication, early and often, is important. Don’t wait until the last minute to drop the bomb on your ex. Do whatever you can to make sure they are aware of your intentions early. If your MSA says you must split a holiday with your ex, but you want to take the kids out of town for the entire week or weekend, talk it out ahead of time. Don’t spring your plans on the other at the last minute and not expect a fight. Finances also can play a key role during the holidays, so don’t use your financial resources against your ex. While you may be able to afford that trip to Disney, or even buy your child that expensive electronic device they have been begging for, your ex may not have the money. Don’t make the holidays a competition. Discuss the situation with your ex and find a way to give that gift, without making the other look bad. You also may want to discuss your child’s holiday wish list with each other to make sure that gifts are not duplicated. Try to be flexible. If something does come up and you need to switch gears, if you can make it happen without too much of an inconvenience, then why not? The favor you grant today, may need to be returned in the future. Extended family is not always considered at the time of the divorce. But what happens when aunts, uncles, cousins, nieces and nephews decide that this is the year for a holiday family gathering? If your children are old enough, include them in the conversation. How do they feel about spending the holidays with relatives? Some ex’s are on good enough terms to include each other in their family reunion plans. If that works, all the better. If not, find a way that works for all involved, but most importantly for the children. Create a support team for yourself. This is especially important if you will be spending the holidays away from the children. Find others who might be alone and create your own celebrations and traditions. If you are the primary caretaker during the rest of the year, take the time to take care of yourself. Relax, indulge yourself with something as simple as a massage, or if finances allow, travel. 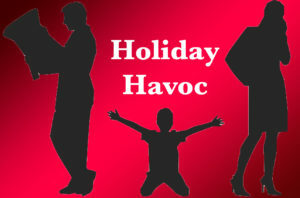 Holidays can be a stressful time for anyone, but particularly for those who are divorced with children. These few simple steps can make it easier to navigate the holiday season and bring you into a new year with less stress and hopefully happy holiday memories. Alan Frisher is a Licensed Financial Advisor as well as a Certified Divorce Financial Analyst. His goal is to help clients understand their financial situation and to come to the best resolution based on their individual situation. For more information, contact Alan at (321) 242-7526 or email him at info@sagedivorce.com. After divorce: Can “birdnesting” work for you? If you haven’t heard of birdnesting yet, chances are you may soon. It’s one of the latest trends in post-divorce child custody arrangements. Simply put, instead of having the children shuttled from one parent’s house to the other’s, the children stay in the marital home and the parents do the shuttling. The whole idea behind birdnesting is to give the children a sense of security – after all it’s not their fault that their parents’ marriage didn’t work out. Although not common – at least not yet – it seems to be catching on in some circles. A handful of celebrities, including exes Gwyneth Paltrow and Chris Martin and Mad Men” actress Anne Dudek and her ex Matthew Heller, have arrangements akin to birdnesting. As you might imagine there are a number of pros and cons to the practice – both emotional and financial. For the concept to work, being able to maintain a good relationship with your ex is paramount. If you can’t stand the sight of each other, or you’re constantly bickering with each other in front of the children, then birdnesting isn’t likely for you. Birdnesting also might not work if the parents live any significant distance from where the child is residing. Particularly if their workplace is far away. Another consideration is cost. 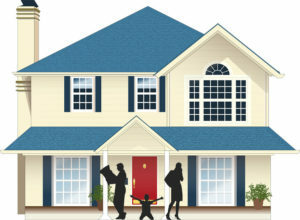 If the parents are continually moving to and from the marital home, there is a good chance that three homes will be needed: the marital home where the child continues to live, mom’s new home and dad’s new home. Who owns the home being used for birdnesting? How long will the arrangement continue? For example, will it end once the child reaches 16? 18? or moves out? Once the child does leave the nest, who gets to keep the home, or will it be sold? Who handles household expenses, i.e. food, utilities, repairs, etc. How will decisions relating to household expenses be handled? Can you both agree to a set of rules to live by? For example, who’s responsible for cleaning, lawn maintenance or being at the home if a repairman must come out? The details of the arrangement are something that need to be worked out ahead of time and put in writing as part of the formal divorce and custody arrangements. Parents should sit down with a Certified Divorce Financial Planner to figure out if they have the financial resources to successfully move forward. In some birdnesting cases, one parent remains in the marital home with the child and the other parent moves in and out regularly. While this might work if the parent coming and going has his or her own room, it could prove to be confusing for the children and become awkward in a number of ways. Birdnesting also might make it difficult for ex-spouses to move on with their lives and develop new relationships. It would take a very understanding new boyfriend or girlfriend to accept the arrangement. While birdnesting might sound like a good way to allow children to adjust to their parents’ divorce, parents also must decide if it’s an appropriate solution for them and their own well-being. Sign up and get a copy of my special report, "10 Ways to Prepare for a Divorce"